An easy to use chorus ensemble effect. 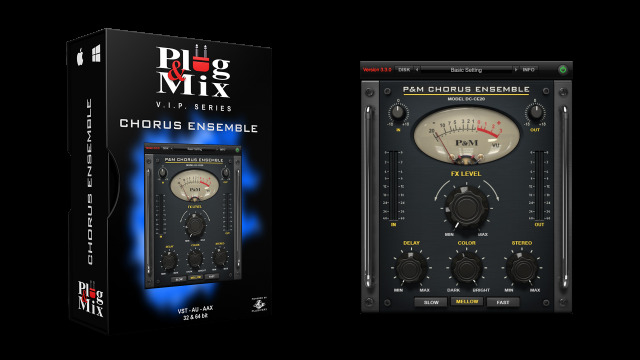 Your go-to plug-in for quick, lush sounding chorus effects. Use the knobs to quickly dial in color and stereo width while selecting the general rate of the chorus below. You can choose from Slow, Mellow or Fast chorus rate. Turning the big knob dials in the overall FX Level while you can adjust the signal’s Input and out put level. 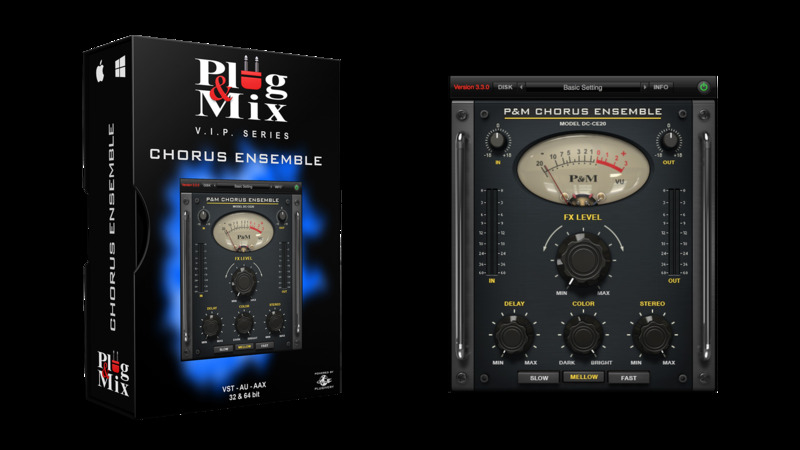 The result is one of the best sounding Chorus Ensemble plug-ins on the market that is a breeze to operate. - FX Level : Adds less or more Chorus to your track. - Delay : Increases or decreases the timing of the chorus effect. - Color : Changes the tone of the chorus effect to be darker or brighter. - Stereo : Controls the stereo width of the effect. - Selector buttons : Select Slow, Mellow or Fast rate of chorusing.